The mini version of the Tribute Kendama. 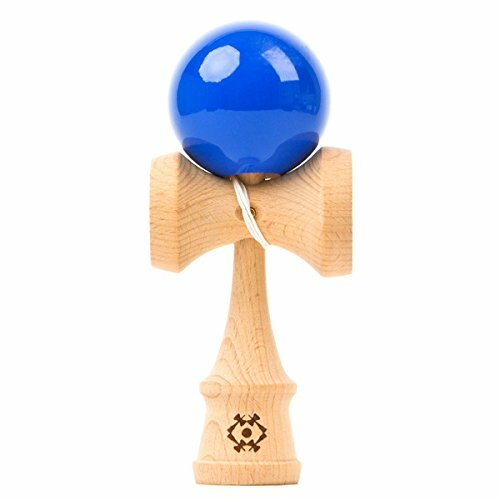 This is the first mini kendama to have the Tribute design so they are just as easy to re-string as the standard Tributes. These mini Kendamas are great for the younger players with smaller hands, or for the advanced players who want a new challenge. The Mini Tributes are barely 6 inches tall, and a perfect size to go anywhere that you do. The mini version of the Tribute Kendama. This is the first mini kendama to have the Tribute design so they are just as easy to re-string as the standard Tributes. These mini Kendamas are great for the younger players with smaller hands, or for the advanced players who want a new challenge. The Mini Tributes are barely 6 inches tall, and a perfect size to go anywhere that you do.